“Editor's Choice - Pinball League - Dr. Pickaxe is rocking our world on Windows Phone.” That’s the headline on the web site Windows Phone Central, which covers everything related to Windows mobile phones. The official title of the game is Pinball League: The World of Dr. Pickaxe—a pinball game where the action moves from the main pinball table to four exotic, archeologically significant locations around the world with the Dr. Pickaxe archeologist character. The game, which is available for $2.49 on Windows phones through the Windows Phone Store was created by Tainicom and released in August of 2012. Developer Nikos Kastellanos and 3D artist Tasos Rizopoulos formed Tainicom—a game development studio—in late 2010 to create games for the newly released Windows phone platform. 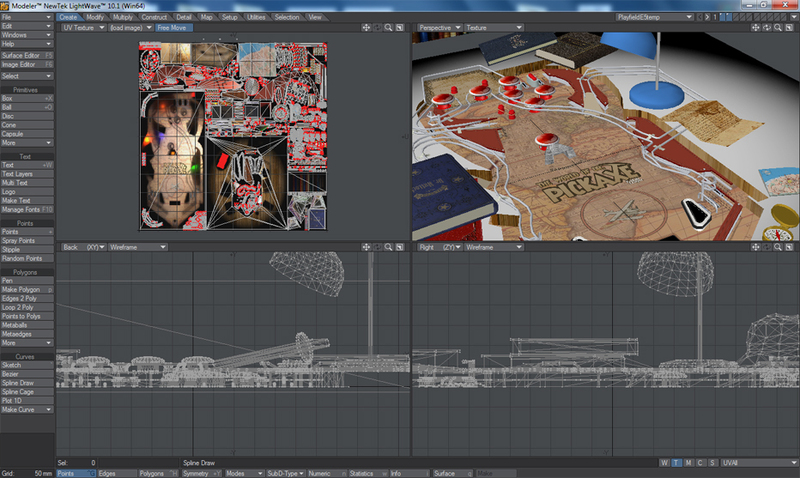 The game starts in a rich 3D graphic version of an archeology-themed pinball table. The ball is served with a swipe and the flippers are operated by tapping on the screen next to each one at the proper time. 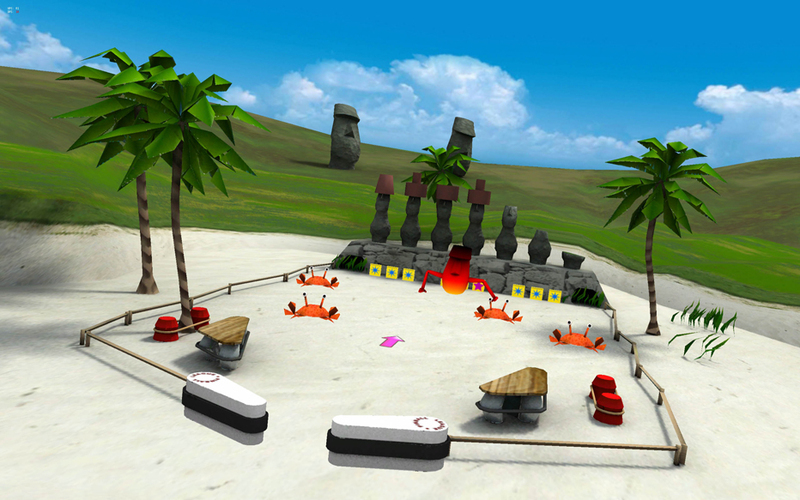 When the ball hits certain locations on the board the view changes to one of four different ancient sites: Stonehenge, Easter Island, an Egyptian tomb, and in front of an Aztec temple. 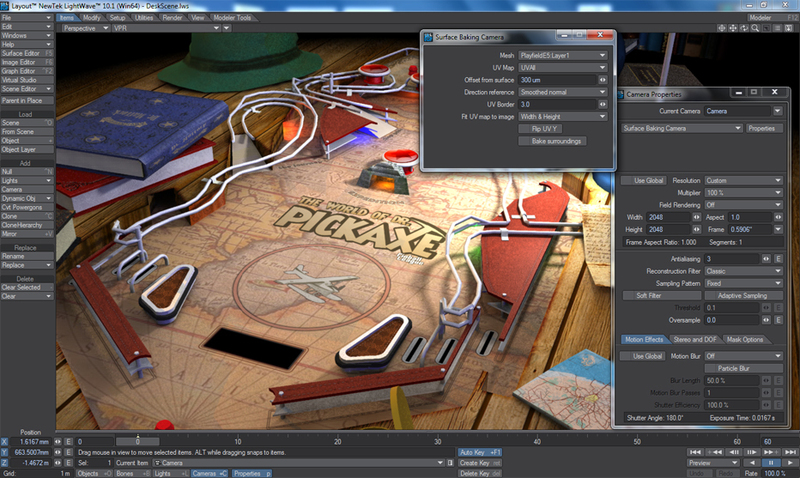 Not only does the pinball game have detailed graphics and accurate physics, based on the open source Farseer Physics Engine (http://farseerphysics.codeplex.com), but characters such as mummies, hooded priests, and strange animals wander around the game, creating more complex gameplay and competitive scoring opportunities. Vibration, response to tilting the phone, and a global scoreboard are also included. 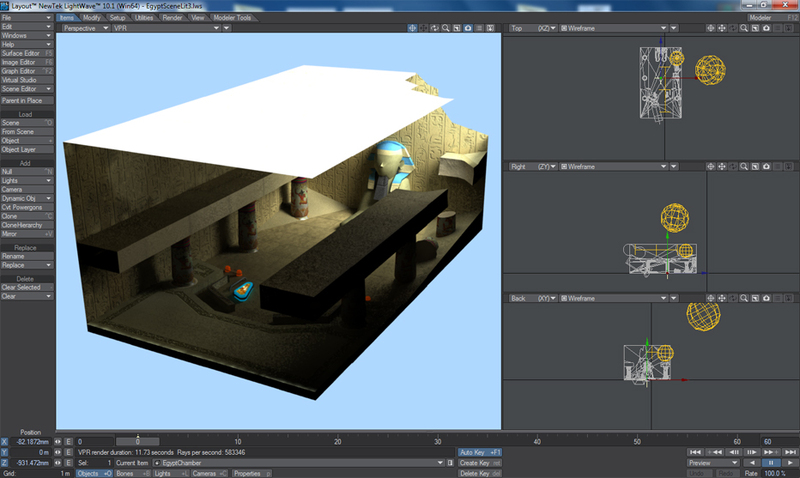 Rizopoulos described his workflow this way: “The approach we used for baking shadows, textures and bump mapping into a single texture map combined steps in both Modeler and Layout. Initially, an object with multiple materials is created in Modeler. All the surfaces must then be combined into a single UV map. Putting many objects into a single LWO object helps with this. 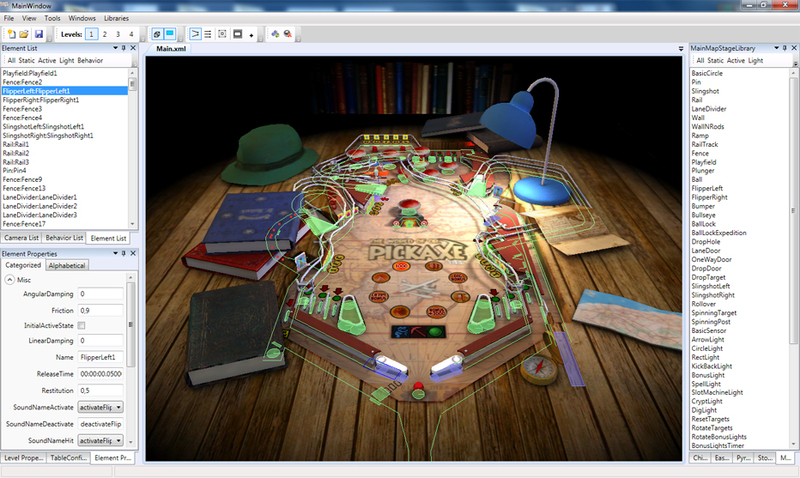 Based on the ability of Lightwave to produce these objects, Pinball League: The World of Doctor Pickaxe has a “simply gorgeous 3D real-time-rendered table, with the camera following the ball to the same extent that your eyes would on a real table.” So says the reviewer on the web site, All About Windows Phone. And the App Invasion reviewers on PC-WORLD/Hive said that the game was “pretty much just addictive,” which is exactly what you want a game to be. Visit the Tainicom website to learn more.